The North East RIFF area comprises the coastal zone of Louth, Meath and Dublin from Omeath, Co. Louth to Howth Co. Dublin. The fishing fleet in the North East RIFF area represents approximately 7% of the national fleet according to the national fleet register in July 2014. There are approximately 149 vessels included in the polyvalent general, polyvalent potting, specific and aquaculture sectors. Eleven of these vessels are between 12 and 18m and are split between the polyvalent general and specific sectors, 21 vessels are between 18 and 24m all polyvalent general and 13 vessels are greater than 24m all polyvalent general with the exception of one aquaculture vessel. The vessels under 12m represent 70% of the Dublin/Meath/Louth fleet; Dublin accounts for 54% of these, Meath 4% and Louth 42%. The main fishing ports in the North East RIFF area include Howth in County Dublin, a National Fisheries Harbour Centre, along with the small harbours of Balbriggan, Skerries , Loughshiny, Portrane where the inshore fleet also operate. The main fishing port in County Louth is Clogherhead with some inshore vessels also operating from Annagasan. Elsewhere fishing and tourism activities occur at a number of other harbours along the coastline, with Carlingford having a significant marine tourism profile. Howth’s marine tourism profile is also growing. Although some of the inshore fleet in County Louth is based in Dundalk and Drogheda they are considered primarily as commercial ports. 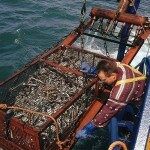 The main fishery in the NE RIFF area, the razor clam fishery has been operating in the north Irish Sea since 1997. The fishery occurs in shallow water from the low water mark to a depth of approximately 14m but usually between 5-10m. The value of the fishery has increased in recent years due to increased market demand and price. Landings into ports between Dublin and Louth were 475 tonnes in 2013 with an approximate first sale value of €2.1 million. The fishery currently supports approximately 32 vessels (at least 64 people in the catching sector) and a significant number of jobs in processing and transport. According to the SFPA (2011), razor clams were the most significant shellfish species produced in the region (within the jurisdiction of the Howth Port Office Area). There are a number of cockle beds on the Irish coast. In recent years the main fishery has occurred in Dundalk Bay. Estimates of total landings and catch rates in 2012 varied from 397 tonnes in the fishing activity records to 410 tonnes in sales data. Nationally, poorly resolved data on landings, and limited catch and effort information in the lobster fishery makes it difficult to report comprehensively on the status of the stock and the performance of the fishery. Catch and effort information on vessels less than 10 m in length is only available through the sentinel vessel reference fleet programme run by BIM and an observer programme run by the Marine Institute. Effort information in EU logbooks for vessels 10-13 m is poorly recorded. Locally, there is very little available information on the importance of the fishery to the region. The whelk fishery is mainly to the south of the region and off Wicklow. 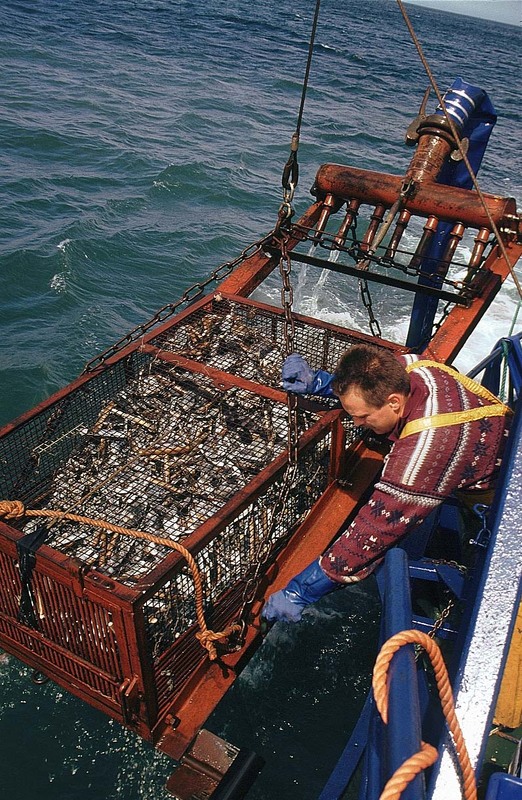 A number of NE RIFF vessels travel to participate in the fishery. However, again, there is limited information on the importance of the fishery to the region.